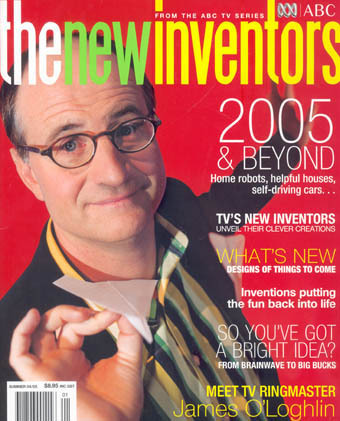 publication The New Inventors Magazine and ABC tv program of the same name, 2004. Sam was selected to appear on the ‘The New Inventors’ program to present and discuss her Floorscape design. Although it was not the winning design, the experience was very memorable. 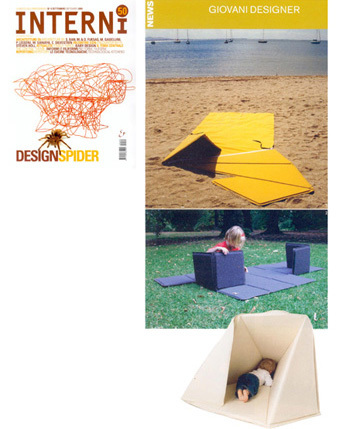 After presenting at Salone Satellite, Milan International Furniture Fair we were very excited to be included in this renowned Italian design magazine. One of our favourites. 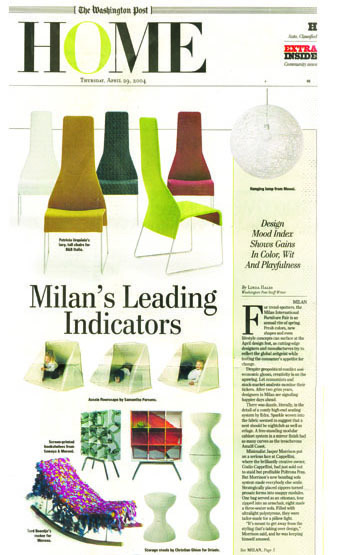 After exhibiting at Salone Satellite during the 2004 Milan International Furniture Fair we were honoured to be identified as one of the fair’s leading indicators by this well known newspaper.